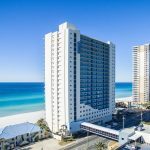 Our ever-growing New Homes Division is expanding to include on-site presence at three of Panama City Beach’s most prominent Gulf front condominiums, Sterling Breeze, Calypso Resort & Towers and Splash Resort. These distinctive properties are perfect vacation destinations as well as investment opportunities, and we’re making it easier for you to have access to all the information you need in one place. Our sales team is knowledgeable about the area and sales history of each resort. We’re excited to help you fall in love with the perfect condo for you. Sterling Breeze is a stunning gulf front resort featuring a gorgeous overflow edge pool, poolside café, community fire pit and more entertainment options. 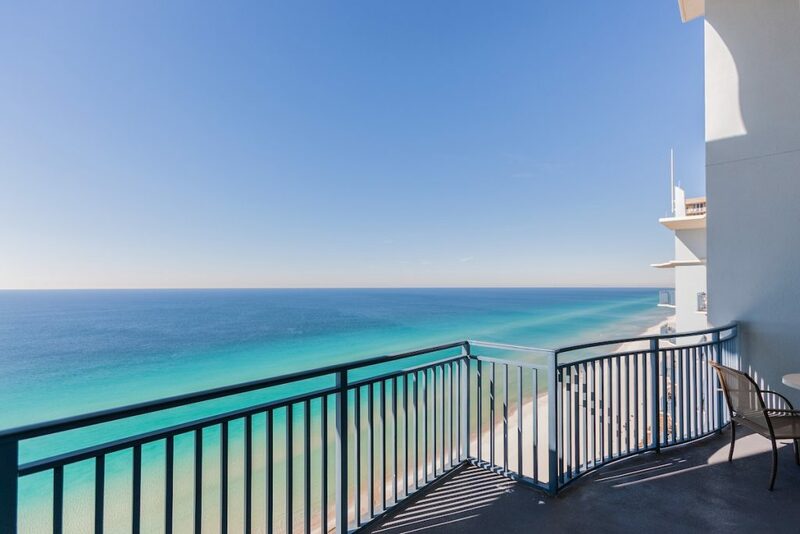 All one, two and three-bedroom professionally furnished condos include a large television, full-size appliances and a spacious balcony with breathtaking views of the sugar white sand and aqua waters of the Gulf of Mexico. The resort’s ideal location also provides endless entertainment and dining options with Pier Park just a short walk away! 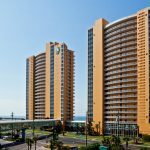 Calypso is a large resort with two towers prominently situated on the beach with outstanding Gulf of Mexico frontage. A variety of floor plans offer one, two and three-bedroom layouts, some with built-in bunks to host more of your friends and family. Unique features of this elegant resort include two large resort-style pools, unlimited DVD rentals, complimentary beach service and high-speed internet access. Calypso is as close as you can get to Pier Park and the City Pier, less than five minutes walking. Picture a fun-centered vacation destination with the coolest water activities, ultimate beachfront location, with beach chairs and an umbrella waiting for you. This is Splash Resort! 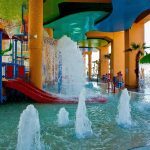 Splash is a family-friendly resort offering fun for all ages. 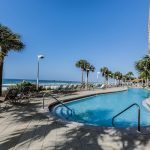 The many pool options include a large swimming pool overlooking the gulf, hot tub, sunbathing pool, toddler splash pad, lazy river, dive-in theater and even a mini-waterpark. After enjoying all of the amenities at Splash, Pier Park is just down the street for shopping, dining and events. All Splash units include full-size appliances, televisions, wireless internet, and more. 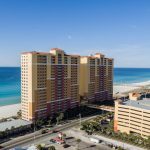 Visit our new on-site locations, open daily, to learn more about opportunities to invest in these beautiful gulf front resorts.